During the Miami-Dade Beacon Council’s annual Beacon Awards event on Saturday April 28, local biotech company TissueTech was recognized as a leader in the business community with the Target Industries Award. TissueTech, a home-grown regenerative medicine company, employs more than 270 people in Miami-Dade across its research and development, manufacturing, and headquarters operations. 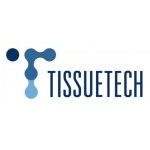 Founded in 1997, TissueTech pioneered the clinical application of human placental tissues and has since treated more than 200,000 patients. The Target Industries award recognizes leaders that diversify our economy and build on the strengths of our community from seven target industries: aviation, banking and finance, creative design, life sciences and healthcare, technology, hospitality and tourism, and trade and logistics. These sectors are identified by the One Community One Goal initiative as providing significant opportunities to expand high wage jobs and build industry clusters to better diversify and strengthen Miami’s economy. For more information about TissueTech, please visit their website, and click here to learn more about the Miami-Dade Beacon Council, the County’s official economic development partnership.